FOR A FEW DOLLARS MORE—-Clint Eastwood’s second Italian-German western is good for a lot of laughs, though at 130 minutes, it gets a little long for a camp outing. It’s a good one to have on while you’re doing something else, like maybe playing cards. You can look over every ten minutes or so, watch a few bits, get a chuckle and go back to the game. Director Sergio Leone shot it in Spain in 1965, but a US release didn’t come until mid-’67, when it was a solid hit, building on the word-of-mouth from A Fistful Of Dollars, on novelty value, and by the changing public taste regarding violence and amorality in cinema, with the movies oldest genre leading the body count. The plot is bounty hunters vs. more bounty hunters vs. banditos, with varying levels of meanness betwixt. 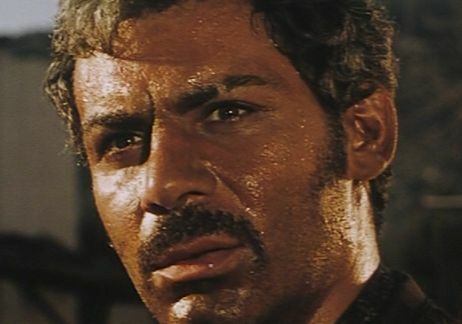 Some of those great ‘eating scenes’ are present, lots of sweating, acres of stares in full close-up, another weirdly cool score from Ennio Morricone, gunfight after gunfight. Fun to see Klaus Kinski playing a grungy varmint named ‘The Hunchback’. 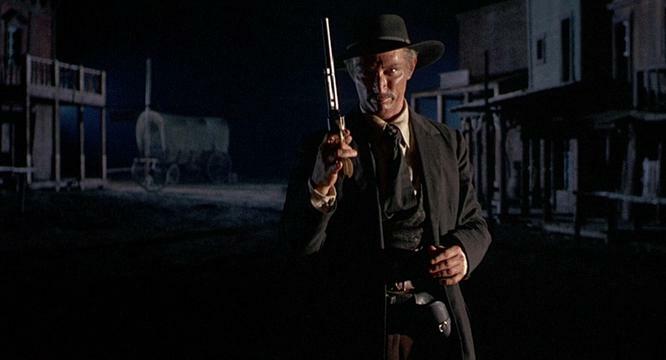 Co-starring with Squint is Lee Van Cleef, finally elevated to more than a target after fifteen years in the bad guy ranks. Gian Maria Volente is the nastiest of the villains. With Josef Egger, Mario Brega, Rosemarie Dexter. The $600,000 investment brought in $15,000,000 worldwide.